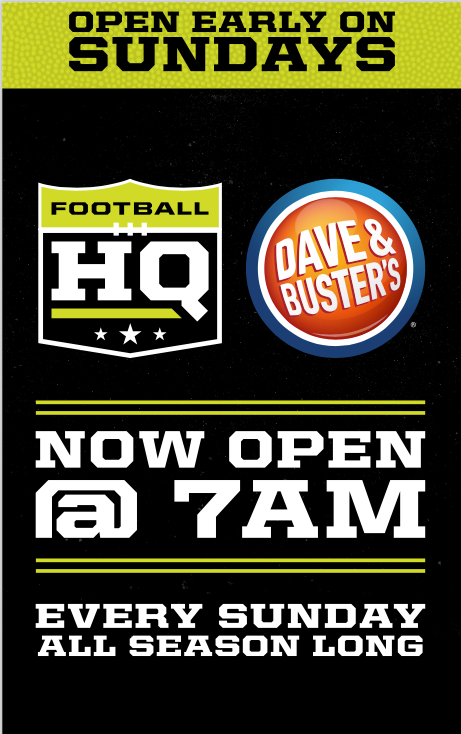 Join us at Dave and Buster’s at 7 a.m. every Sunday for everything NFL. Enjoy the new breakfast menu and beer specials. See you in the morning!